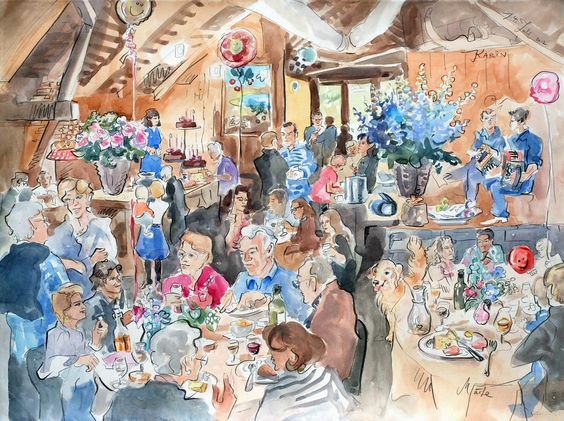 Get an original souvenir of your special day – a painting which captures the ambiance of the event! 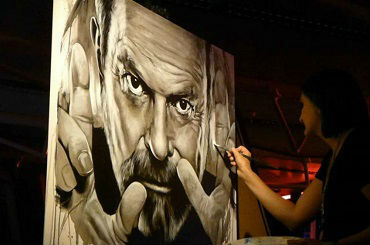 Märta is a highly skilled artist and experienced painter, an expert in her field since 1991. She paints and draws on the spot, incorporating portraits, acts (speeches, bands etc), the décor and all the smaller elements of the occasion (birthday cake, table decoration etc) which truly evoke your event. Marta will focus on the people and acts that you want. 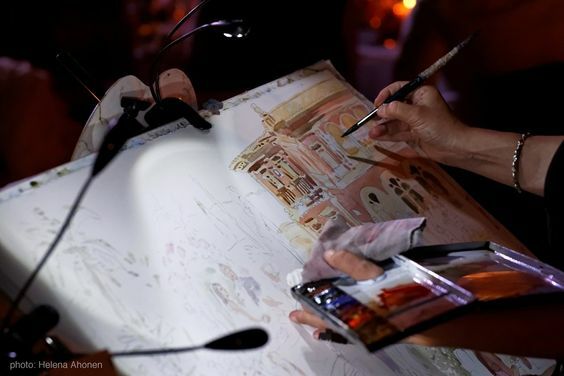 The colorful painting combined with pencil drawing is not only a perfect souvenir but also a beautiful piece of art, and you can take the painting home right after the event and have posters or cards made out of it and send them to your friends and/or clients as a unique keepsake! Märta is a little event within the event. She finds a spot to put up her easel onto which she clips a little torch to illuminate her painting board. People can come by and watch her painting while the picture grows into a documentary piece of art. 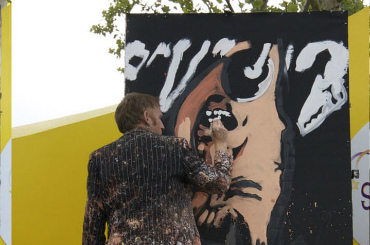 Märta spends approximately 5 hours painting. 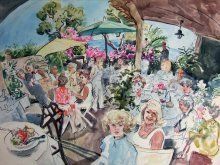 The watercolour painting combined with pencil drawing measures 22.5 x 30.5 inches. 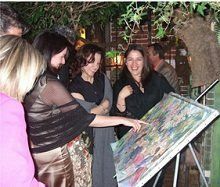 Märta is based in Nice, France, and would love to fly over to your party! Märta can also create a ‘Space & Time’ portrait of your event, using a mixture of media’s to create a unique image. 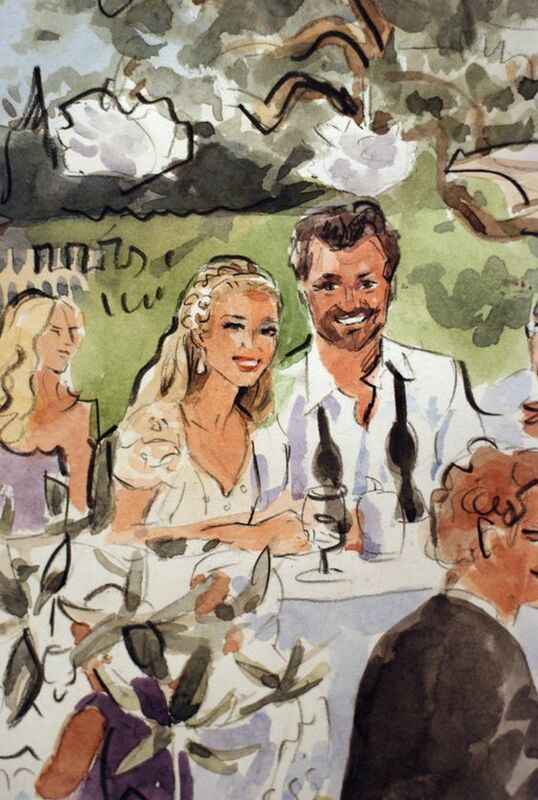 Märta can also provide individual watercolour portraits of your guests. The model poses for around 15 minutes and Marta can produce 12 portraits in 4 hours. Watercolor and black stone on Arches paper, hot pressed, 300g/m2, 57x76cm. 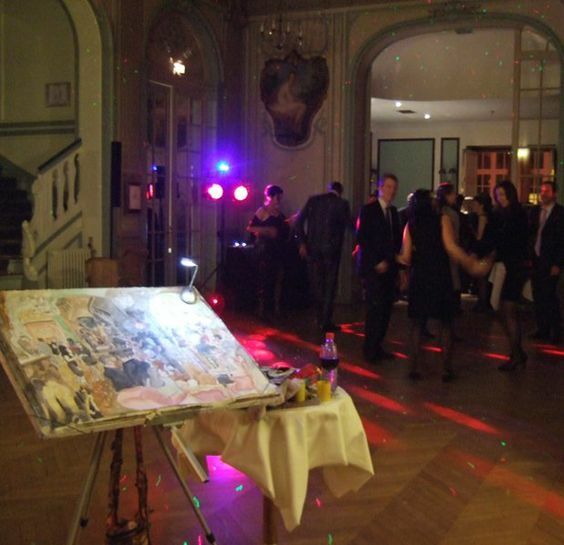 Thank you so much for taking part in the wedding at the Hotel de Paris. Our clients were very happy with the painting! We hope to work with you again in the future. 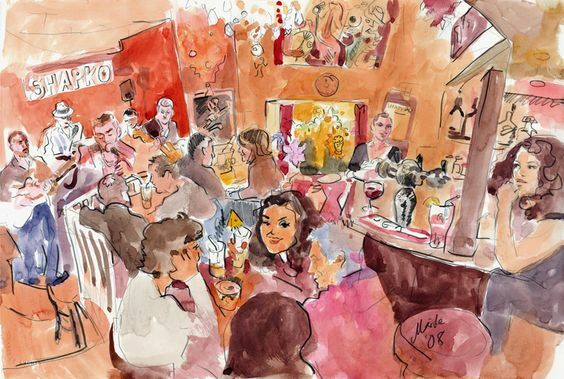 Great to meet you and love the painting, it was just fab! 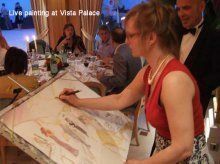 Maerta’s talent for converting extraordinary powers of observation into an unusual and wonderful artistic interpretation of our wedding surprised all our guests. This is a unique moment of the occasion which we will treasure. 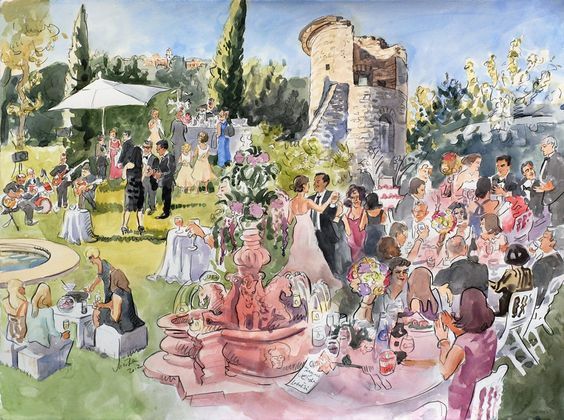 Many thanks for your great masterpiece of “Wedding in Eze Mas Provençal”. That portrayed such especial moments! God bless you for it. You are a great artist.